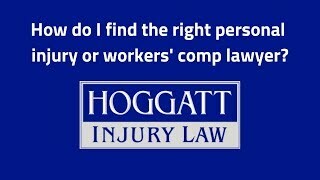 How do I find the right personal injury or workers' comp lawyer? 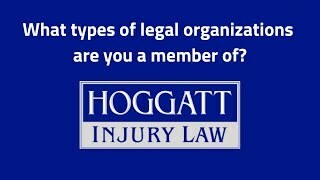 What types of legal organizations are you a member of? Do you have enough time for my case? How long does it take to resolve a case like mine? 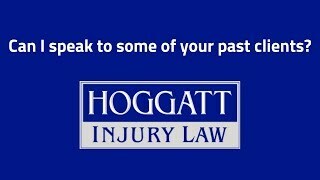 Can I speak to some of your past clients? Is it typical that you become friends with your clients? Do I have a choice on which doctor I will see? 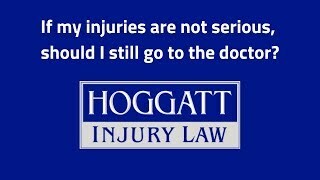 If my injuries are not serious, should I still go to the doctor? 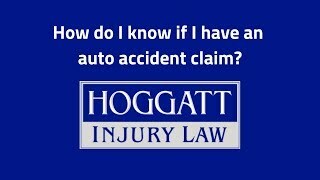 How do I know if I have an auto accident claim? 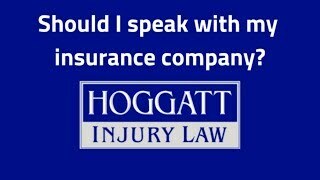 Should I speak with my insurance company? 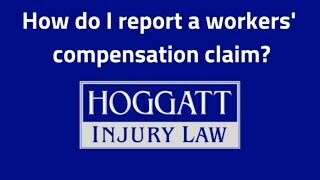 How do I report a workers' compensation claim? 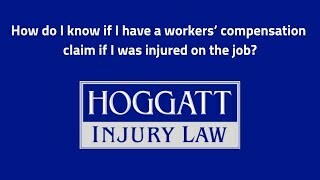 How do I know if I have a workers’ compensation claim if I was injured on the job? 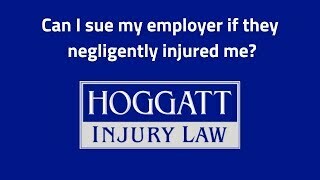 Can I sue my employer if they negligently injured me? 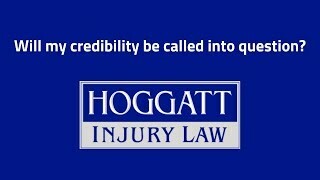 Will my credibility be called into question? 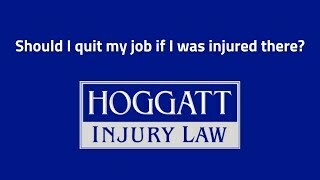 Should I quit my job if I was injured there? Do I pay attorney fees on workers' comp payments received before I hired you? 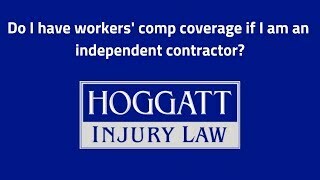 Do I have workers' comp coverage if I am an independent contractor? 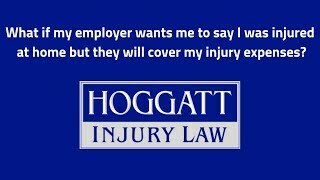 What if my employer wants me to say I was injured at home but they will cover my injury expenses? 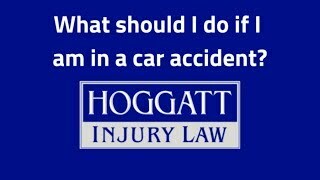 The initial steps you take after an auto accident are important for your health and that of any fellow passengers. 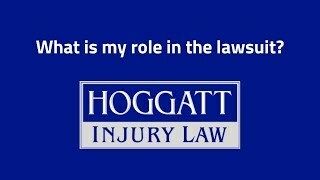 They are also critical in securing injury compensation if the negligence of another driver caused the crash. After you assess the physical well-being of everyone in your vehicle and contact emergency medical personnel if necessary, it is imperative to preserve all evidence available at the scene. This means calling the police so they can complete an accident report. You will want to take up-close photographs of the damage to your automobile and any other vehicles involved in the collision as well as of the scene. Make note of any unusual conditions such as weather, sun glare, or any clues that would indicate negligence on the part of the other driver(s). If any witnesses are present, get their contact information so they can be reached at a later time. If you or anyone in your car is injured in any way but do not require an ambulance to the hospital, see a physician as soon as possible for a thorough examination. Detail every body part that was affected in the crash. No injury is too minor to mention. Because of the adrenaline rush that typically occurs during a serious car accident, you may not feel the full effects for some time. If further complications develop, inform your doctor immediately. 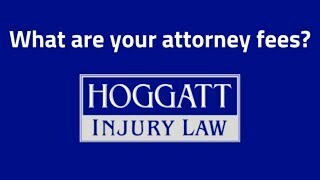 Keep a record of all expenses, losses and lost income as well as how the injury has affected your daily life. At Hoggatt Law Office, P.C., we protect the rights of people injured in motor vehicle accidents and pursue maximum compensation to cover medical expenses, lost work hours, and pain and suffering. 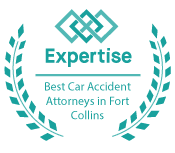 For a free consultation with a Larimer County car accident attorney, contact us at 970-225-2190 for a free consultation. The overall cost of hiring a lawyer is a primary concern for most people when they need the help of an experienced legal professional. 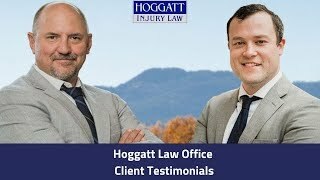 This includes those injured in car accidents, truck crashes, and rideshare collisions, along with workers' compensation claims. When it comes to personal injury attorneys, most bill clients according to a contingency fee agreement. This means you do not need to pay your lawyer a retainer fee up front to secure their services. Instead, you will only be billed once your attorney negotiates a settlement for compensation or achieves a verdict that includes a financial award. The agreement you sign once you enlist the help of a lawyer will state the exact percentage that will be paid to your attorney once compensation is finalized. 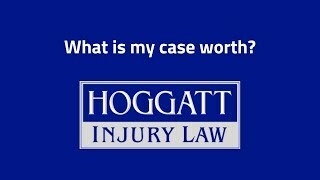 At Hoggatt Law Office, P.C., we understand cost is a worry for many clients, which is why we do not collect a cent until we get you the compensation you deserve for injuries sustained. If you were injured in an accident caused by someone else's negligence, you want to speak with a Larimer County personal injury attorney as soon as possible. Contact us today at 970-225-2190 for a free consultation. Whether you were injured in oil and gas, construction, trucking, or another industry, file your initial report and see a physician as quickly as possible. 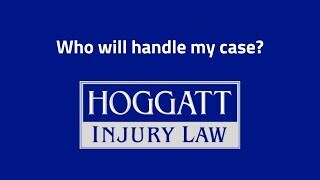 This includes head and brain injuries, spinal cord injuries, back and neck injuries, and burns from a fire or explosions. 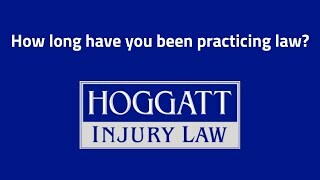 When injured in a workplace accident, it is critical you report your claim in a timely manner with your employer. This means informing your direct supervisor immediately that you suffered an injury on the job and filling out an official accident report so there is a clear record of the incident with the company. Include a full description of what body parts were affected. Next, see a doctor as soon as you can. Your employer may have a set list of physicians you can visit for a diagnosis, or you can go to your family doctor or an urgent care facility. If your injury requires immediate medical attention, go to the nearest emergency room. 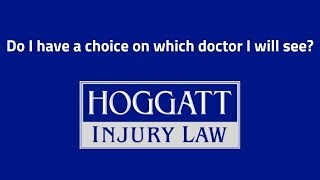 When you are treated, tell the doctor how you were hurt, and again, describe what body parts were injured. The longer you wait to report your injury and file your workers' comp claim, the less likely it is that an insurance company will accept liability for the injury. 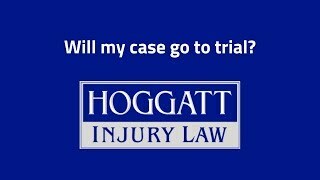 If you wait, the insurer may contend you were injured somewhere else, perhaps at home or while playing sports. 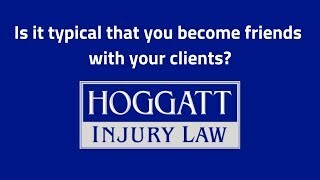 The law states you have up to four days to report an injury to have a legitimate claim. 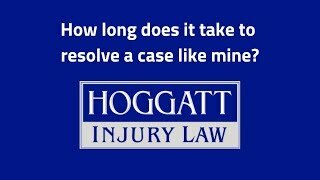 Your claim may be allowed if you wait longer than that, but it becomes less probable it will be accepted with each passing day. At Hoggatt Law Office, P.C., we protect the rights of employees injured in workplace accidents and pursue the compensation needed for medical bills, lost wages, and pain and suffering. 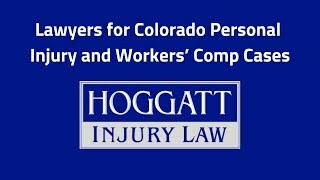 For a free consultation with a Larimer County workers' comp lawyer, contact us at 970-225-2190.